Momma on a Mission: I did what with a garlic clove? They say there's a first time for everything, and I definitely had a new experience yesterday. Actually, two new experiences. I've never struggled with yeast infections. Ever! I'd heard all the horror stories, but never had one. Until yesterday- I woke up with the burning, the itching, and everything else that goes along with a yeast infection. It only got worse as the day went on, and I was pretty uncomfortable. It didn't really seem fair- I've never had a yeast infection in my life, and now that I'm eating healthier than ever I get one??? The way it's been explained to me is that the yeast was always in my body, but I was unhealthy enough that it was comfortable living there. Now that my gut is healing, the yeast isn't comfortable anymore- and also my body has enough resources to be able to focus on getting it out of me. Add all that up, and apparently it equals a yeast infection. Fun stuff. Someone suggested that I try a garlic clove since garlic has powerful anti-fungal properties. I was nervous that it was going to burn, but she assured me it wouldn't. So I peeled a clove of garlic, and yes, shoved it up my vag. And seriously, in less than an hour, I was feeling better. I left it in for about 12 hours, and by this morning, I was feeling about 90% better! Amazing!!! 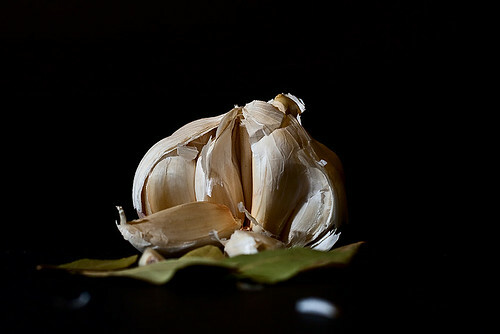 Have you ever tried garlic for a yeast infection? Did it work for you? Yep. I've done this exact thing. And yep, it worked like a charm. The ONLY reason people don't know about this is because it would put the nasty antibiotic folks out of business. The only thing I did differently was I crushed the clove first. Crushing is supposed to release more of the beneficial properties. You can also wrap the clove in cheesecloth or gauze, tie with dental floss or string, and make a little "tampon"-like thing. That way you are not fishing around *in there* for all the little pieces of crushed garlic. Unless, or course, you like that sort of thing.